Chances are if you ever find yourself matching your surroundings it is purely by happenstance. As a matter of fact, many put on the first thing they pull out of their drawer or closet when getting dressed for the day, though for some people, this process can take hours. Sometimes, purely by happenstance, people put on outfits that match their surroundings wherever they happen to be at the moment. While this can lead to embarrassment for the wearer, it is usually hilarious to others around them. And sometimes, this unintentional camouflage can exceed what you were expecting. 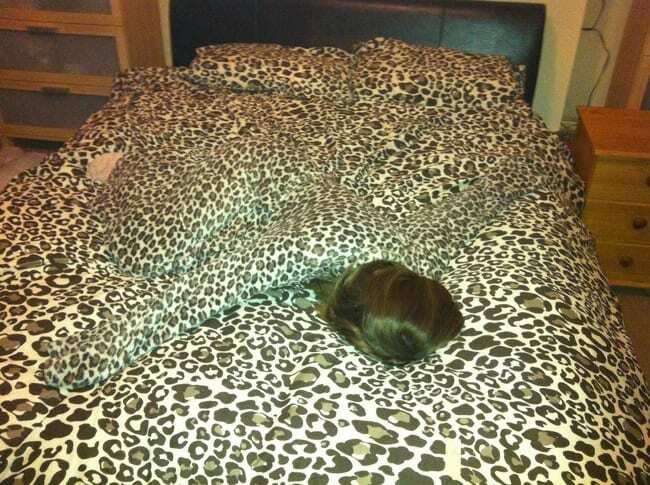 Here are some people who have put on the perfect camouflage to help them blend into their surroundings. Whether they look like an object in the environment around them, or disappear into the background, these perfectly camouflaged individuals will have you laughing. 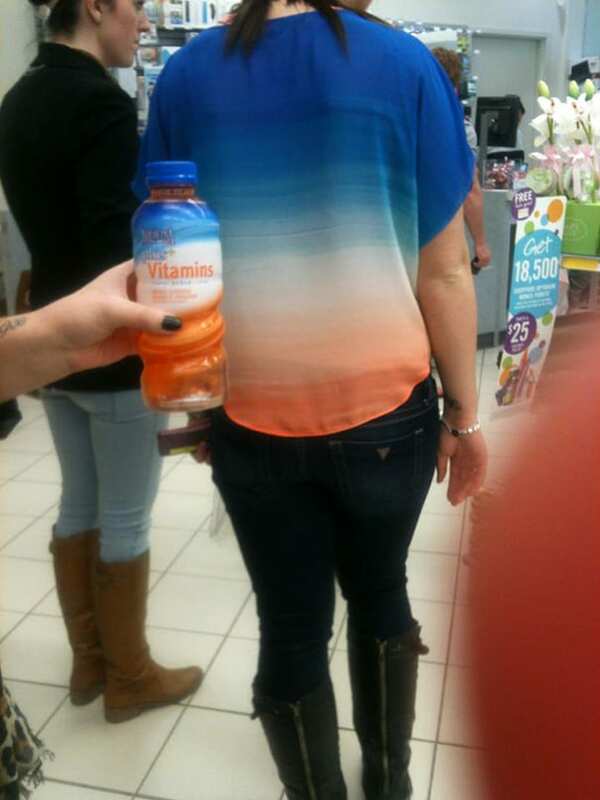 This individual has a shirt that matches the packaging of a popular brand of health drink. This begs the question, are they a fan of the drink or was this merely a coincidence? I wonder if she has other favorite drinks for which she has a matching shirt in her wardrobe. Hey, at least it should be easy to find this bag if it gets misplaced. 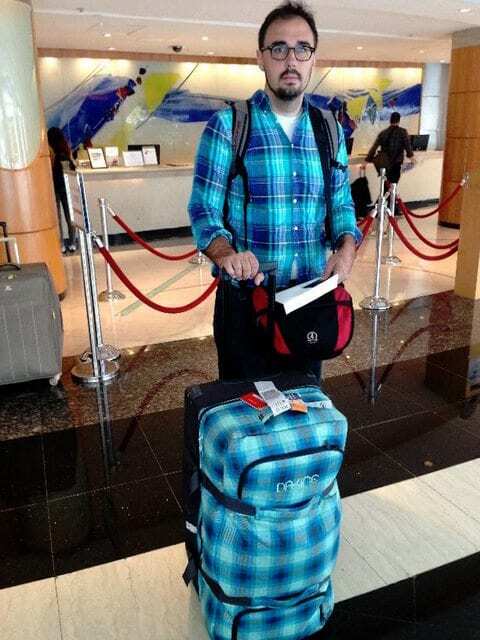 It is probably easy to spot in baggage claim at the airport. If he ever forgets what color it is, he can just look down at his shirt for a reminder. 3This guy’s shirt matches that of the couch he is sitting on. The only difference is his stripes make him look fatter. 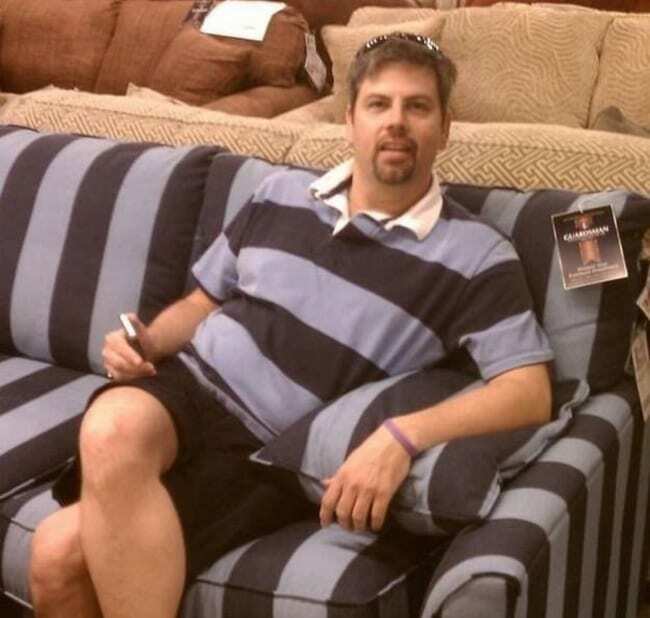 The stripes on the couch remind me of the movie character Beetlejuice for some reason. I better be careful to not say Beetlejuice three times. Whoa, were did her feet go. This pair of boots, whether intentional or not, makes this woman look like she is floating above the floor. Some might think she is a ghost, so she better be careful not to scare anybody half-to-death. 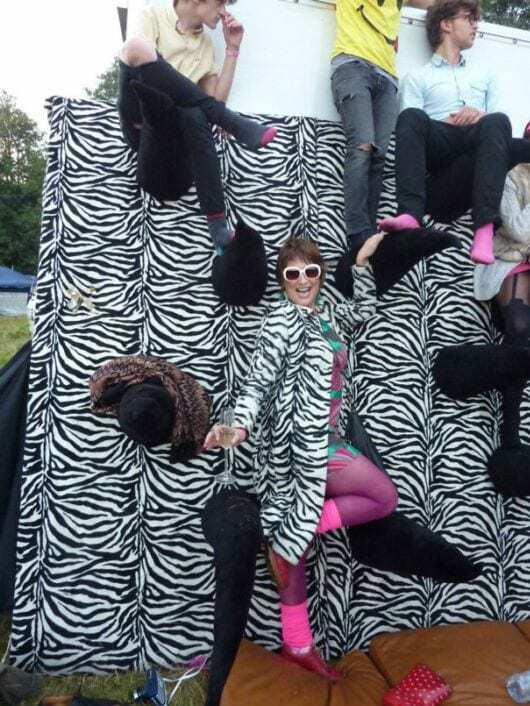 What are the odds of wearing a zebra-print jacket to around something covered in zebra-print material? Well, pretty good if you ask me. I am still scratching my head about what is going on here. Is that a wall, or some kind of bench? 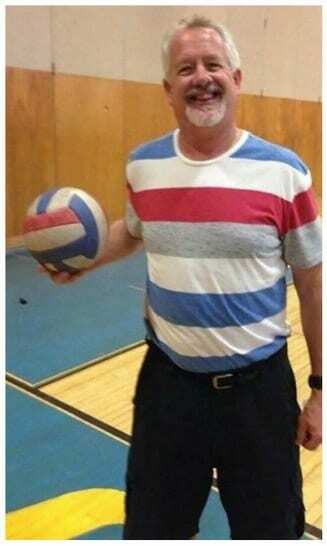 This man’s shirt matches the pattern on his volley ball, even down to the colors. I wonder if that was intentional or a funny coincidence. He sure seems to be happy about it, so chances are he didn’t really intend to dress like a volley ball. 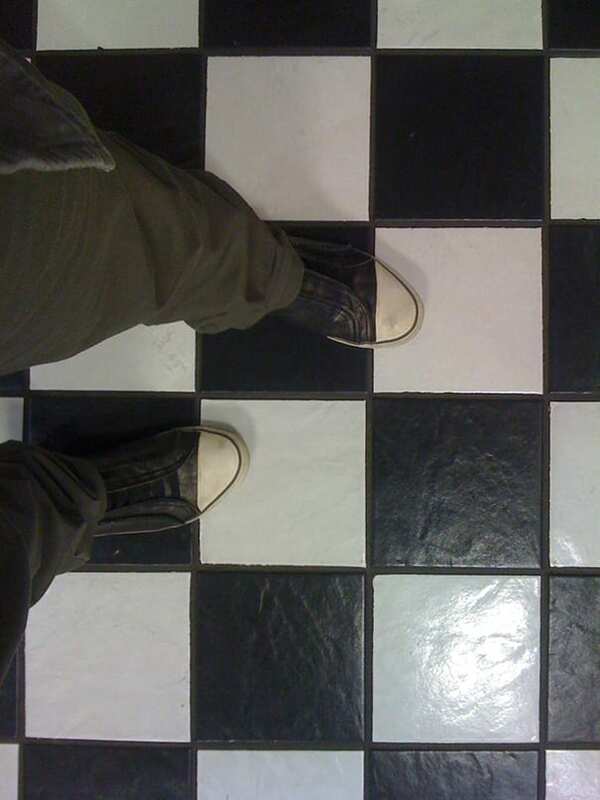 This person’s shoes seem to match up with the color of the pattern of the tiles on the floor. It does create an interesting effect, especially when the person wearing the shoes lines up his shoes perfectly with the color of the squares. Just sitting on the waterfront taking in the sea air. Hey, where’d she go? 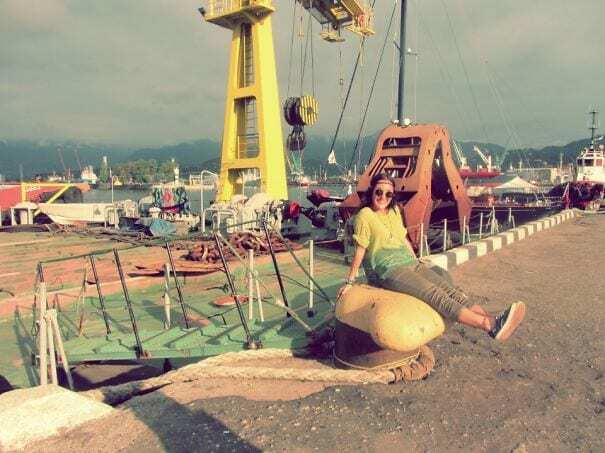 Is she over by that yellow crane? Oh wait, there she is. For a moment there I thought there were two cranes. Not that I am saying she is big like a crane. 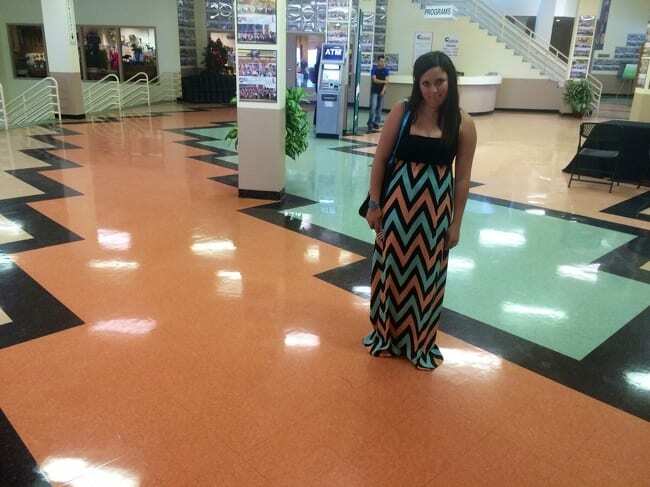 This woman matches the floor at this mall perfectly. I wonder if she works there and is dressed in a special mall uniform. She must either be a fan or spend a lot of time at this mall to want to dress in what are obviously her favorite colors. 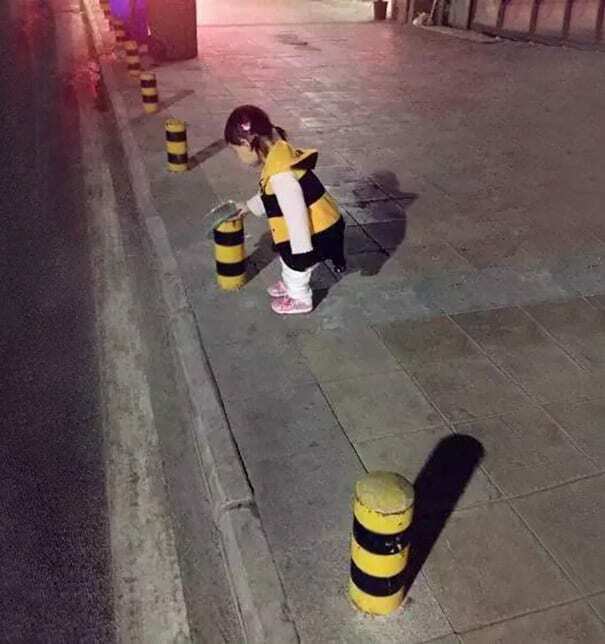 How cute, this little girl matches the posts on the curb perfectly. I guess my question is what is she wearing, some kind of bumblebee costume, a rain jacket, or something else? Nevertheless, she is cute as a button, whether she is aware of that fact or not. Here is someone who blends perfectly into this couch. Is that why he has such a goofy grin on his face? I just can’t decide if he liked the colors of the couch so much that he ran out and found this matching top, or if he bought the couch to go along with his favorite shirt. 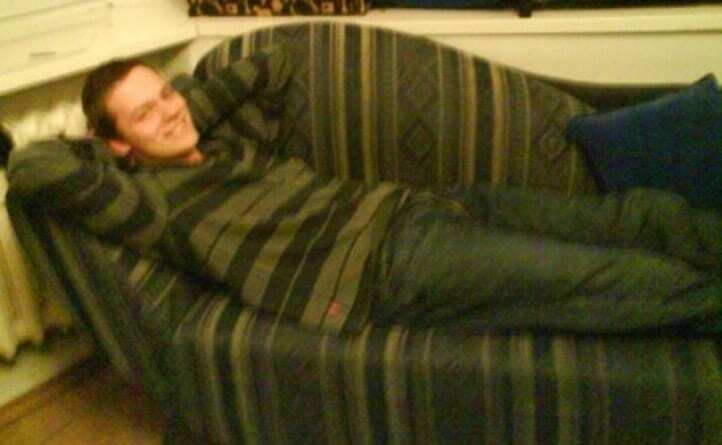 Here is another person that blends into his couch. 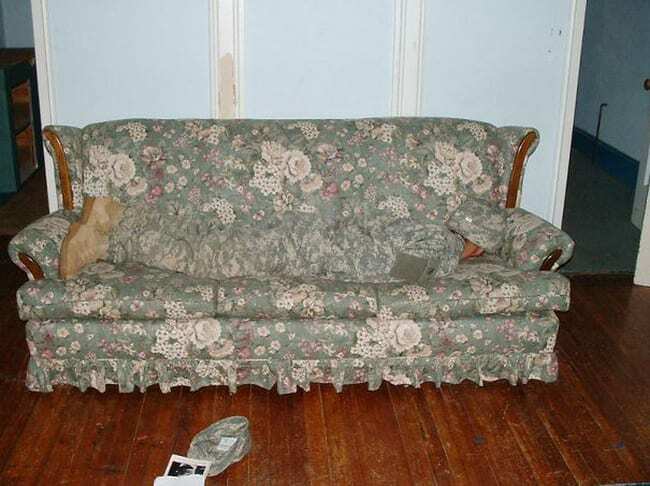 Maybe it’s just the fact that he is wearing real camouflage, or the couch is the perfect color to make blending that much easier. Either way, I would hate to not realize he was there and take a seat right on top of him. 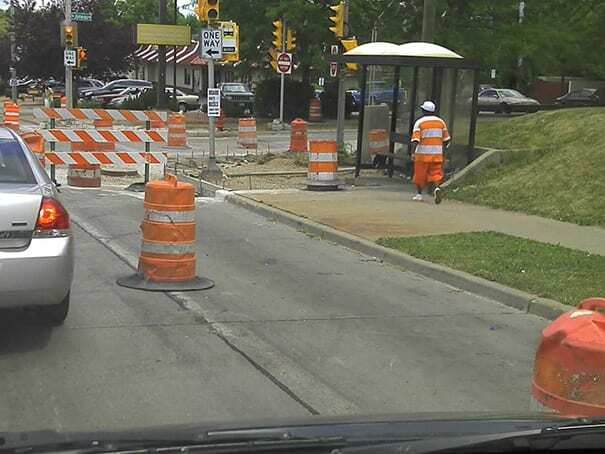 Here is someone who planned their outfit well. A sandy bottom, beautiful dark-blue middle, and a clear blue sky above. I’m assuming her golden blond hair and radiant smile are the sun then. These are two actual cosplayers who made these costumes especially for use at Dragoncon in Atlanta. The costumes were so popular that they started selling them on their website. 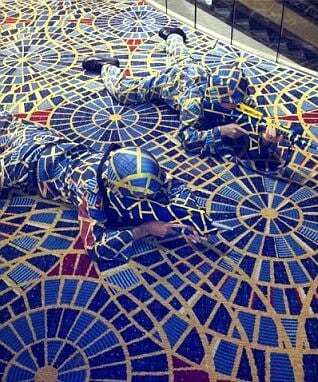 Unfortunately, the maker of the carpet pattern hit them with a cease and desist order and they had to quit making the costumes. 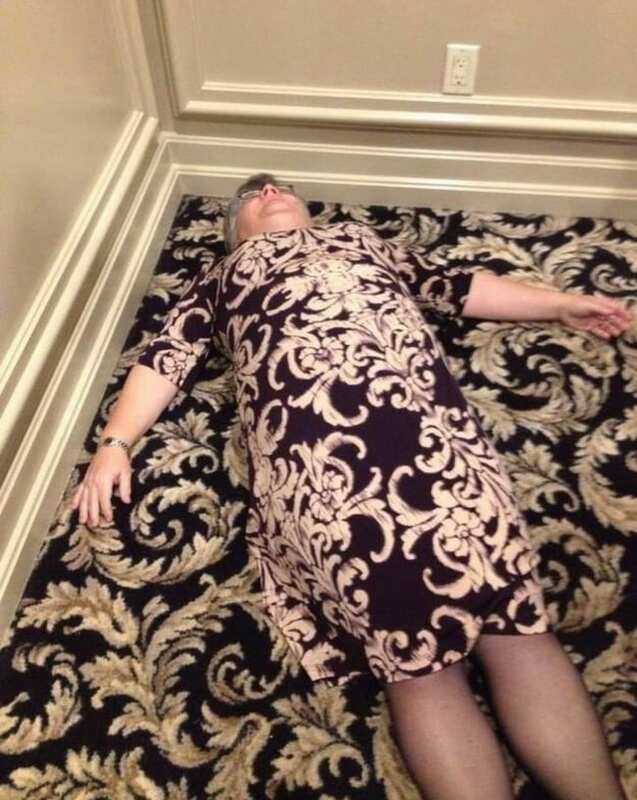 This funny grandma was stunned to find that her dress matched the carpeting of the hotel her and her family were staying at. Either she fainted at the thought or decided to play along by trying to blend in to the floor. 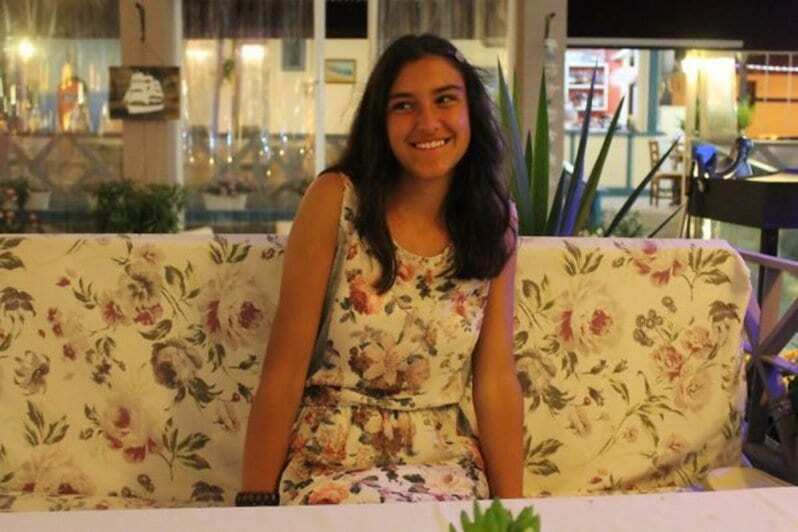 Whether she knew it at the time or not, this girl would soon find herself face-to-face with a couch with the same pattern as her dress. She looks like she is a little embarrassed as she realizes that she has the same fashion style as a piece of inanimate furniture. Now, why would this photographer be taking a picture of a tree in a parking lot? Wait a minute, there is a woman in there! 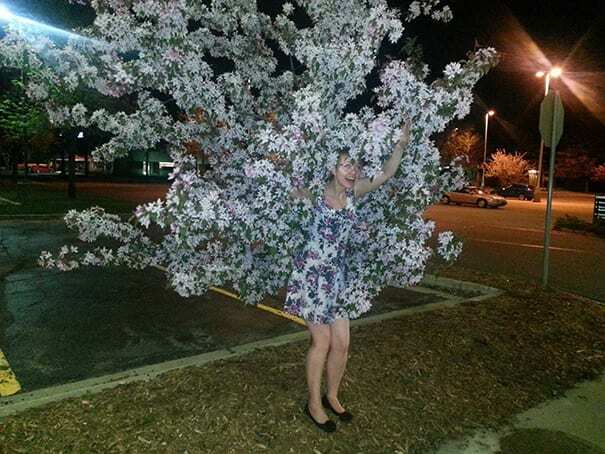 This woman blends into this tree with her flowery dress. 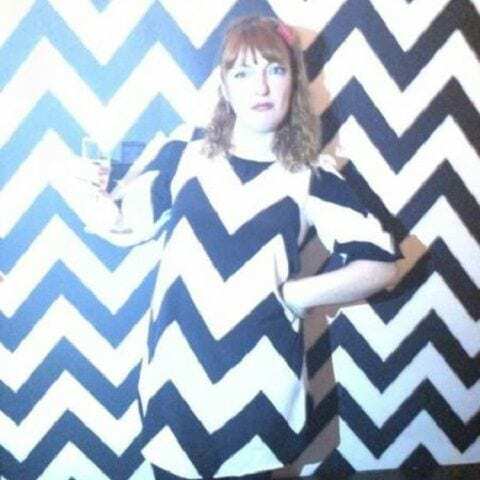 Look how well this woman blends into the pattern on the wall. It is almost a perfect match. Now, if she only had black and white hair, and she would be the perfect chameleon. 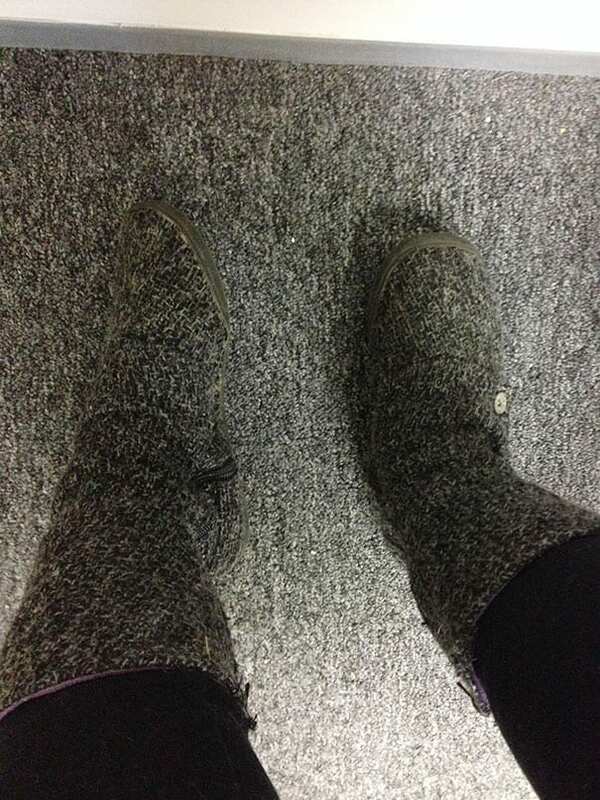 This person’s socks match perfectly with the surrounding carpet. I wonder if this was accidental or intended. 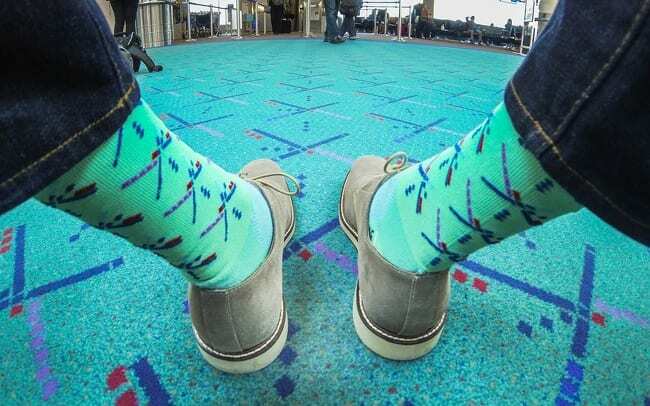 Chances are this fan of fashion knew the color of the carpet and dressed accordingly. Regardless, I love the colors! This photo leads me to wonder if time travel is actually possible. 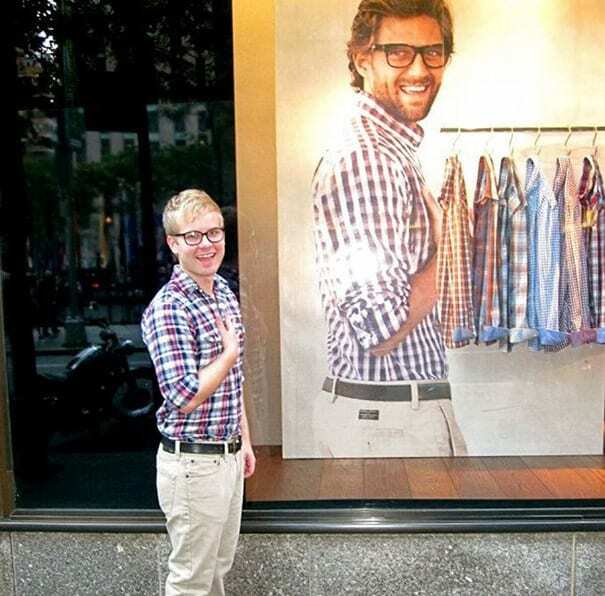 now, I know the young man is actually someone else, but he looks similar enough to the model in the photo that he could be a younger version of himself having traveled back to the past. It’s food for thought at least. 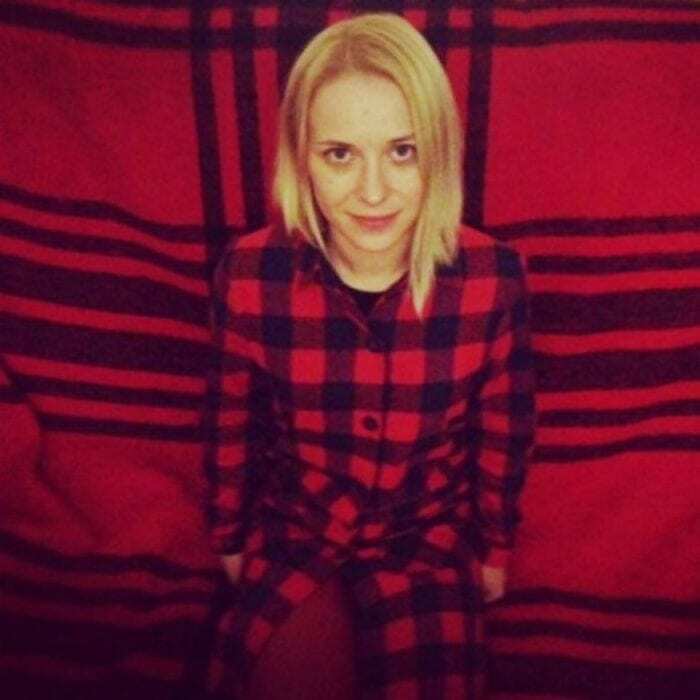 This young lady is sitting in front of a backdrop that matches her flannel shirt perfectly. As a matter of fact, without her head full of blonde hair you probably wouldn’t have any idea that she was even sitting there. This woman and the hotel she is staying in seem to have the same fashion sense. 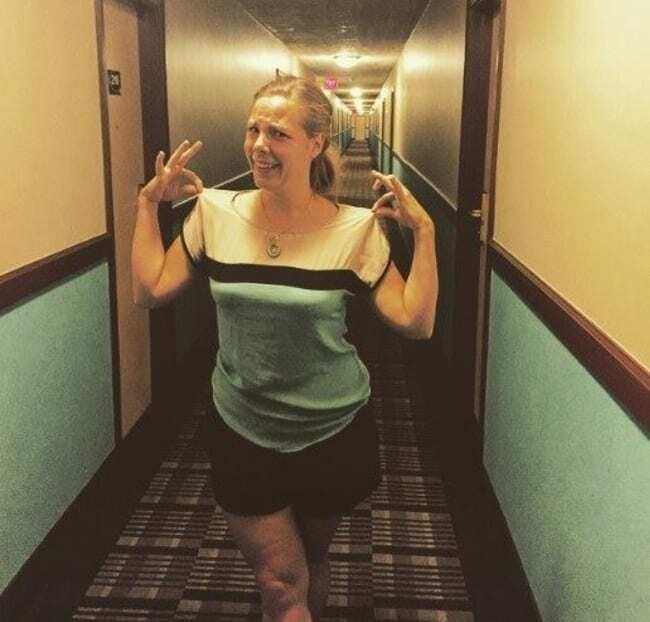 The hotel even use the same colors and patterns in their hallways as those on her shirt. I wonder if she can get some kind of discount. 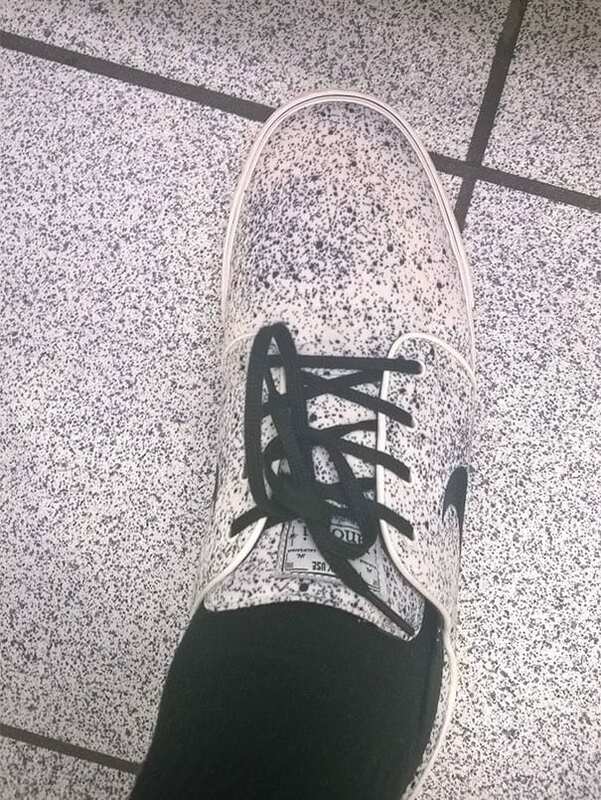 These shoes are the same color as this floor tile this can be either good or bad. On the good side, I really think this is a really cool color. On the bad side, it looks like the tile manufacturer thought the same thing. I don’t know I would wear a pair of shoes the same color as the floor myself.. 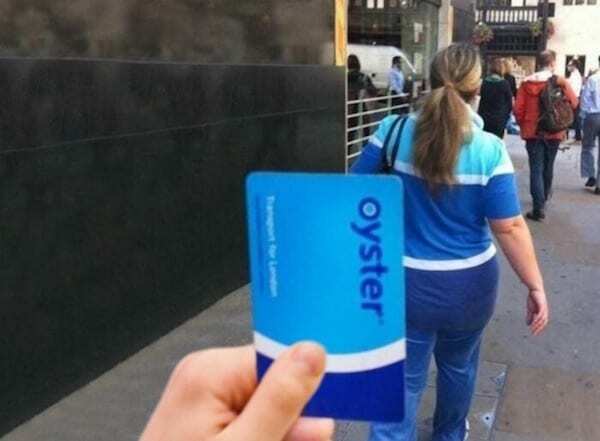 This woman’s shirt is almost the same color as an Oyster card. For those who don’t know, an Oyster card is a contactless form of payment for using the trains, buses, and underground transportation system in London, England. 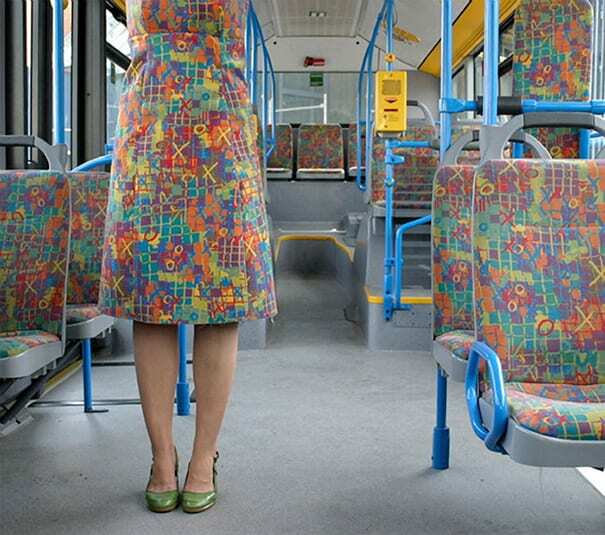 Here is a woman whose top pattern matches the seats of the bus she is riding on. 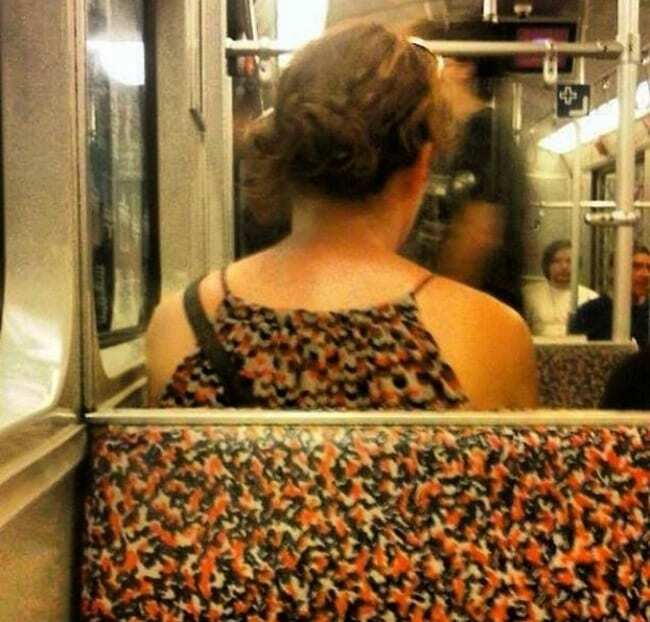 While this is probably happenstance, I bet that she just wants to get off at her stop to get away from all of the stares she is getting for her outfit choice. Even worse than a matching top is this woman’s dress, which seems to indicate that she went all out to match the decor of her mode of transportation, though I don’t actually think this is a bus. Maybe this is on a boat. 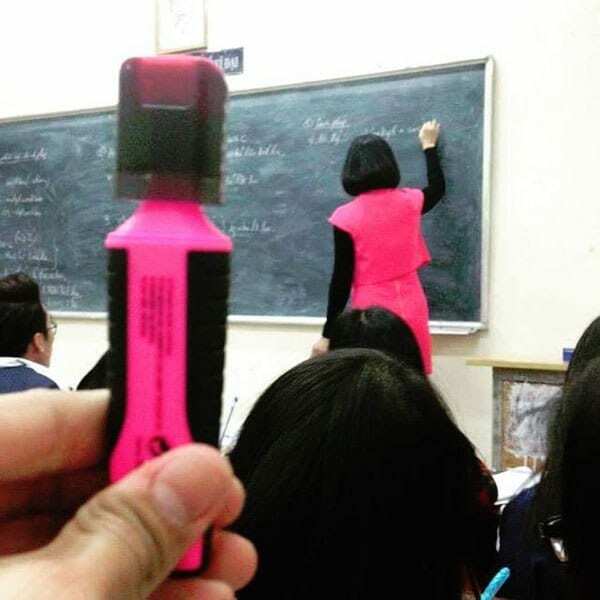 It looks like this teacher is engaging in a little cosplay of the highlighter kind. The teacher even has the hair-do down pat. Hopefully, she also has the ability to highlight some the areas where her students can make improvements when it comes to their class work. 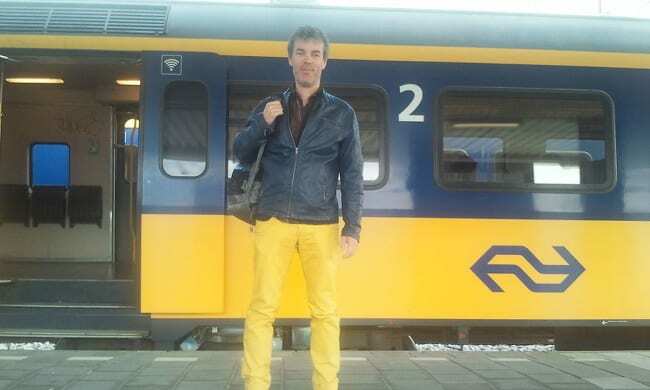 Here is someone dressed just like the train they are riding on. I wonder if that was planned or was a coincidence. Either way, I think someone might miss that he was there if they were just walking by or looking out of another train. 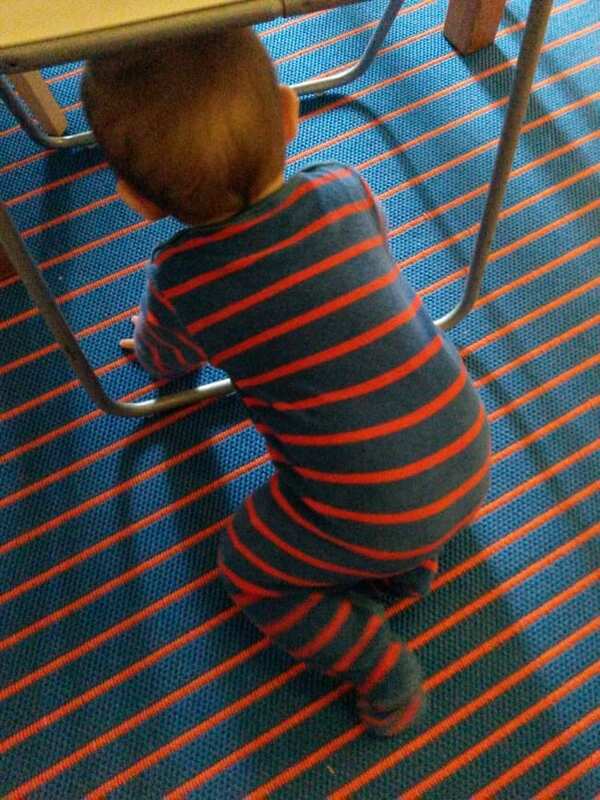 Here is a baby wearing clothing that matches the carpet underneath him. His caregiver better keep an eye on him or they might lose sight of this little one if he crawls away. I can see it now. Hey, look, the carpet is moving. No, that is just the baby. Hey, that construction barrel is moving. No, wait, it is just a pedestrian. I guess he was going for that look out, danger ahead vibe. I wonder if he wears safety yellow in between the sheets. It looks like these legs go on for miles. Nope, that is just the carpet. More than likely, this person has garnered a lot of looks as it must seem like she is floating from their pelvis up when walking on this carpet. This person is wearing the perfect outfit. Half of it, the shirt, is the spotted pattern of the linoleum floor while the other half, the dress, is the dark blue of the carpet. I guess you could say she is a woman divided. 33) Who Wore it Better? 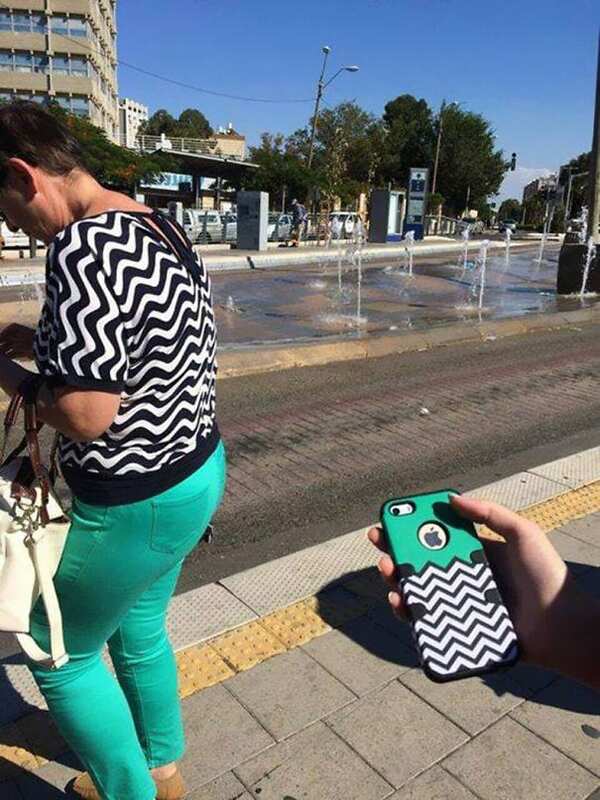 Who wore it better, this woman or this phone. A lot of it comes down to functionality for me, not the looks. And while I can see that purse she is carrying potentially holding everything you would need during the day, I am actually putting my vote on the phone. 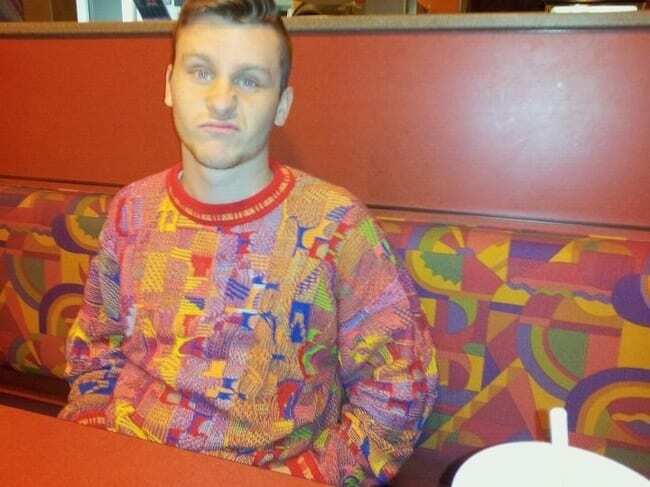 This guy looks less than enthused that his shirt matched the seat pattern at the restaurant that he is at. And while it could be a fancy restaurant, which would lessen the blow in my opinion, his clothing and the fact that there is a cup and straw in the photo says otherwise. Is that an animal on the bed? No, it is just somebody’s head of hair that is lying under a cover that matches the sheets on the bed. This person better be careful and not cover up their head or someone might lie down on top of them not realizing they are there. 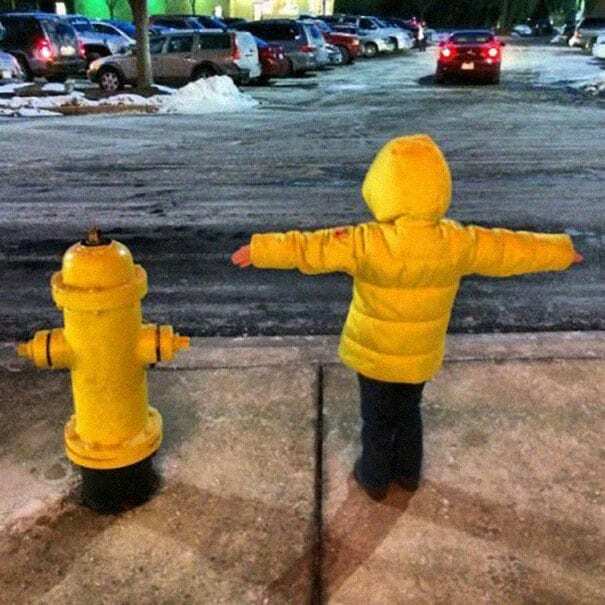 This kid is dressed up just like the fire hydrant they are standing next to. Even more hilarious is the fact that they are striking a pose to try and look exactly like the fire hydrant. Hopefully, there is not a fire nearby as the fire department might be confused as to which one is the actual hydrant. The look on this dog’s face is priceless. It is like he is saying, where did my master go? Don’t worry little guy, she is right there beside you. 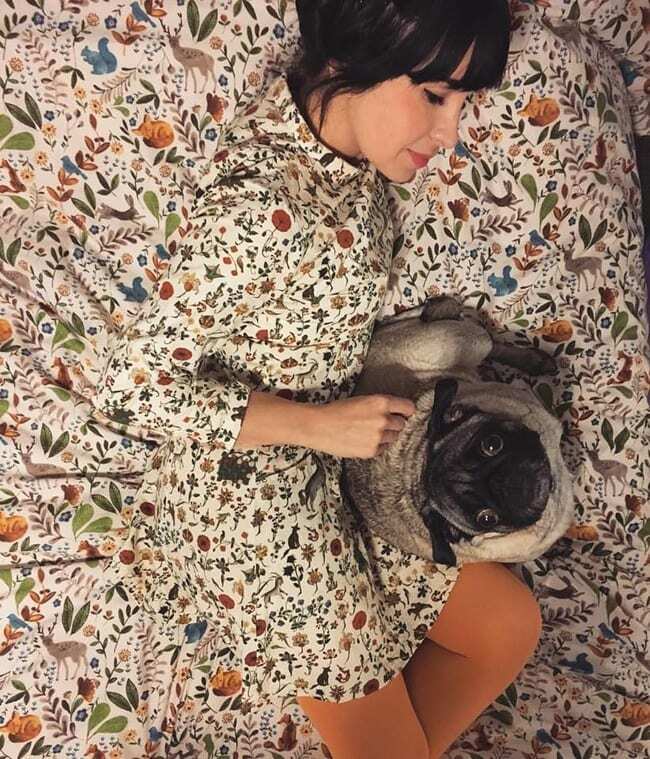 I’m curious as to why her outfit matches the cover on her bed. This is what you get for buying, and then wearing, an outfit that looks like the tiles you find in your everyday restroom. To top it off, she decided to take a selfie of this fashion mash-up, or is that tragedy?